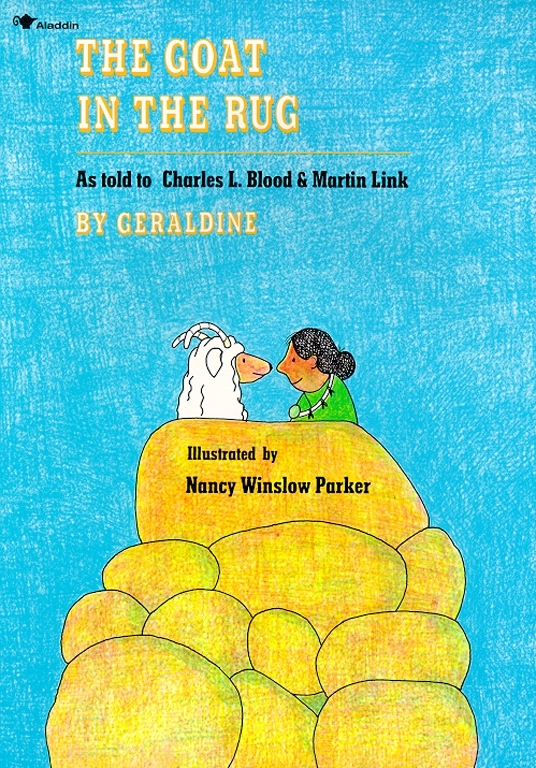 Geraldine is a goat, and Glenmae, a Navajo weaver. One day, Glenmae decides to weave Geraldine into a rug. First Geraldine is clipped. Then her wool is spun into fine, strong yarn. Finally, Glenmae weaves the wool on her loom. They reader learns, along with Geraldine, about the care and pride involved in the weaving of a Navajo rug -- and about cooperation between friends.